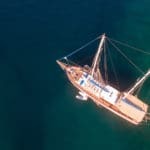 Boat charters have been around for decades, however the history of gulet charters have only been existent for much less time. It is a type of tourism that has revolutionized the style of traveling at sea. The atmosphere, the character and special qualities which present all that the Eastern Mediterranean offers in culture and history combined, making gulets and gulet tourism so attractive. As the more travelers find out about these beautiful wooden boats, the more and more desirable gulet cruising is becoming. New ones are being constructed nearly each year. Built in Turkey, gulets are being sent to other places to offer the pleasurable blue voyages this holiday has been famed for. One such amazing European destination where you can find a hand picked selection of Turkish gulets, is Croatia. One can enjoy the authentic feel of gulet cruising in Turkey – the way the Turkish culture offers it. Croatia is a whole different feel in the same manner of holiday style. First of all the destinations. Just imagine the dozens of islands all dotted along the shores of the Dalmatian coast, each representing its own culture, history, culinary delights; and of course, stunning charm, beauty and warmth of its people. Many travelers have discovered what is it like to go on a gulet cruise in the beautiful turquoise waters of Turkey and Dodecanese islands of ancient Greece. 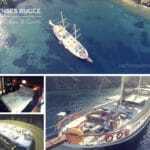 Now, many travellers are ralazing that it’s a good time to explore gulet cruising in Croatia – Croatian style! 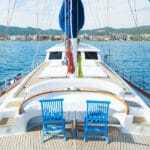 Most private gulet cruises in Croatia start in Split. If you begin your trip from this fascinating city, you might like to arrive the night before you embark and check out the sites, as once you start your blue cruise holiday, you may not have the chance to explore such a vibrant and exciting destination in Croatia. 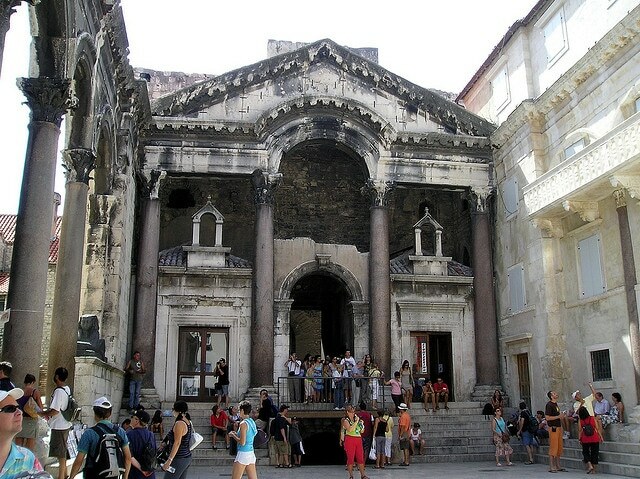 Once such place, a must-see is Diocletian’s Palace – a UNESCO World Heritage Site. There are beautiful museums and galleries, Roman ruins, impressive Cathedrals and various other monuments from the Roman era – all in the heart of the Dalmatian coast. 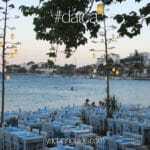 Then there are numerous restaurants, bars, cafes to enjoy Split and its stunning backdrop of the mountains. If you choose to do the return trip, there are a few itinerary variations to choose from in island hopping. However some gulet charters in Croatia will also accommodate a one way route, which could finish in the magnificent city of Dubrovnik. Again if you have the time after your journey, Dubrovnik is an impressive blend of Croatia’s rich culture and heritage, coupled with a wide assortment of stunning natural scenery. There is much to explore in Dubrovnik, so you might like to take an extra few days from your holidays and enjoy this alluring destination. Dubrovnik can also be your gulet holiday starting point.